After bands like Nirvana afforded "alt-rock" critical praise and mainstream viability during the sub-genre's onset, it became completely pop-washed by the time guys like Vertical Horizon got a hold of it in the early Aughts. 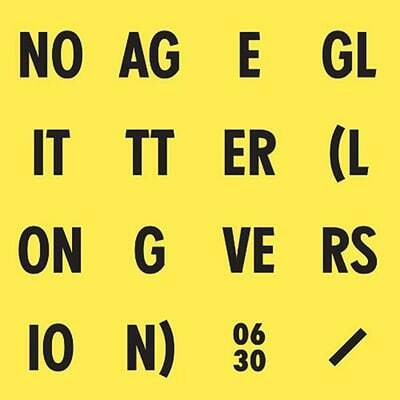 Still, the sound that killed hair metal continues to reverberate through the rock community, and its long-lasting effect is brilliantly demonstrated on No Age's Everything In Between single "Glitter." The painfully catchy "I want you back underneath my skin" chorus makes the record sound like it'd fit in on a Buzz compilation, but it's not, eliminating the worry that a song like this might come on next. Here, the L.A.-based duo clean up their heavily distorted sound, and condense their punk mentality and pop ambitions into one concise statement. The dejected lyrics ask, "When is it my turn to get a win?" Whenever we play this song it's a win.